Thu, Apr 18, 2019, 17:21:54 ---- The fact: 42.844.000 visitors done. To complement its existing line of sawing, deburring and packaging machinery, NAC, Burlington, Ontario, has introduced its new RapidWASH, automated tube washing system. 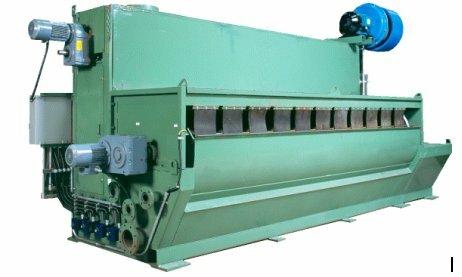 The heated, aqueous wash removes grit and chips and degreases the ID and OD of tubes at production speeds of up to 45 tubes per minute. By completely flooding the tube, with high volume, low pressure liquid, the tube wash system avoids the mist and heat losses common with spray wash systems. The continuous transfer, paddle system ensures that the liquid is always enclosed further restricting heat and evaporation losses. Completing flooding the tube or pipe during the washing cycle also augments heating of the tube. The heated tube, combined with a ID blowout system ensures the tube is quickly and completely dried. A very light to heavy rust inhibitor is usually a component of the wash solution to prevent flash rust formation or rust formation during transportation and storage. This system is capable of handling tube and pipe up to 8 inches in diameter and 80 feet in length. NAC designs and manufactures machinery for the tube and pipe industry.